ungulates, single to imbricate, at first soft and fleshy and then becoming firm, margin acute or obtuse, entire, undulate, upper surface golden brown and tomentose in younger parts, oldest parts dark rusty brown and rough, becoming rimose; pore surface pale brown, round to angular, 2-4 per mm; spores 6-8.5-(9) μm × 4.5-5.5 μm, broadly ellipsoidal, thick-walled, golden yellow. 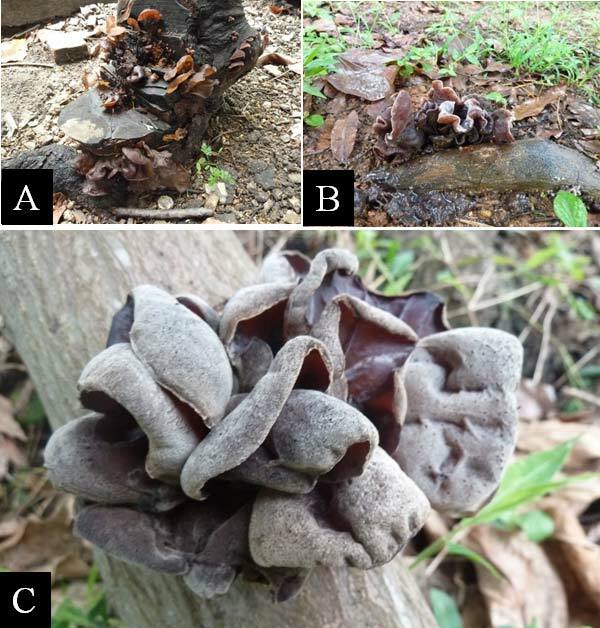 Asexual stage: asexual fruiting bodies (i.e. 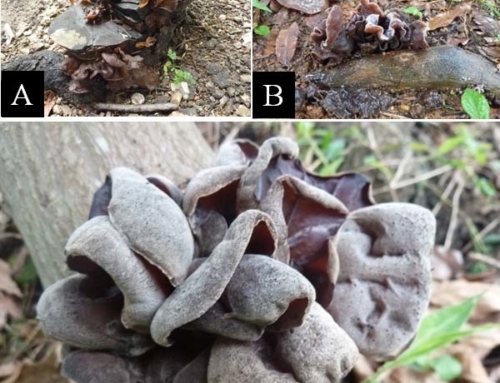 anamorph of Inonotus rickii, also named as Ptychogaster cubensis) semi-spherical or cushion shaped-like mass, soft and fleshy at first, velvety to the touch, yellowish brown to golden brown without the hymenial layer; becoming dark brownish and brittle, crumbling with the inner parts totally disintegrating to a mass of chlamydospores (i.e. thick-walled resting spores) when aged. bodies age, they often turn dark-brownish and become senescent. 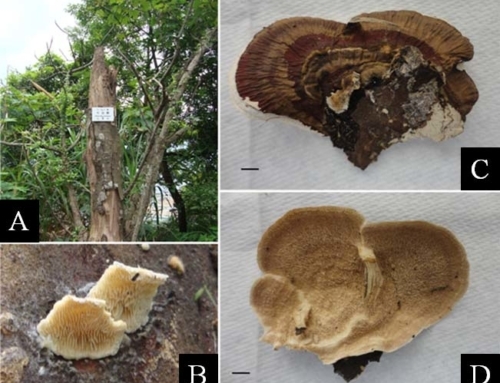 Similar to most wood decay fungi, early stage of fungal infection is not easily detected. As the infection progresses, the crown may exhibit non-specific symptoms such as defoliation, dieback and chlorosis. 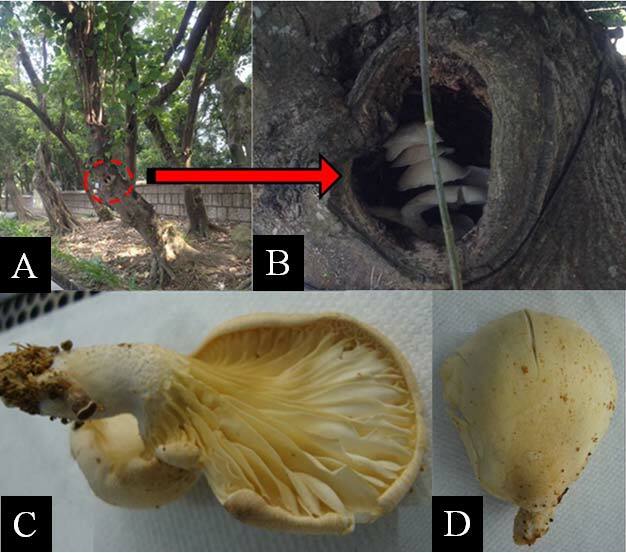 After establishment, the fungus starts causing localised decay and spread vertically and horizontally and cause internal decay. 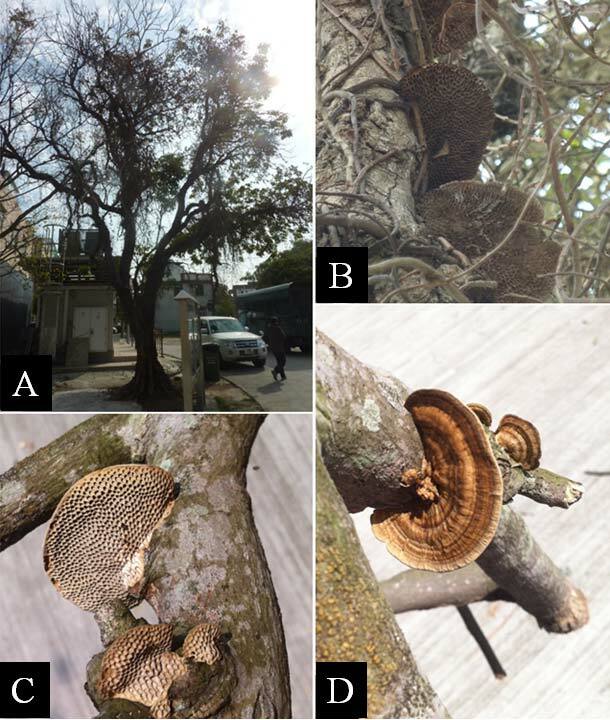 At the advanced stage after years of infection, crown dieback associated with structural weakness may eventually be experienced on the infected trees. 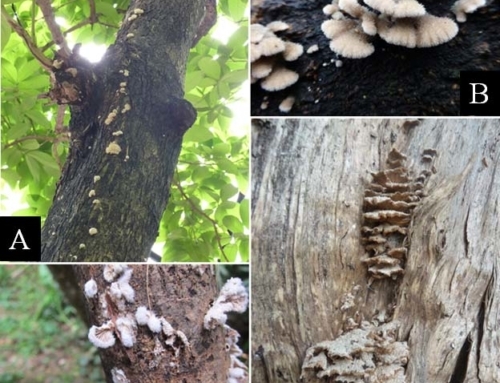 This white rot fungus is a well-documented canker causing pathogen with moderate virulence in Europe. It is able to cause decay on heartwood as well as sapwood and cambium on branches and trunks of trees resulting in eventual tree decline and mortality. 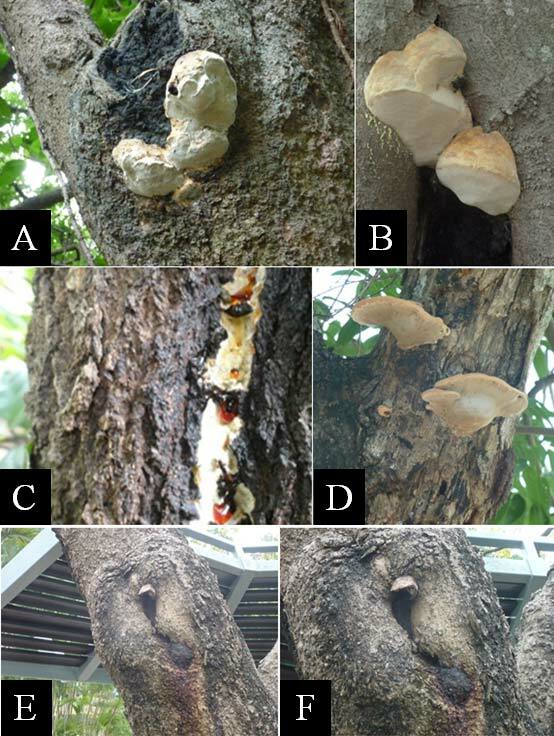 Risk category: Moderate (ORANGE) Since this fungus would adversely affect tree health and structural stability, infected trees should be put under regular monitoring. 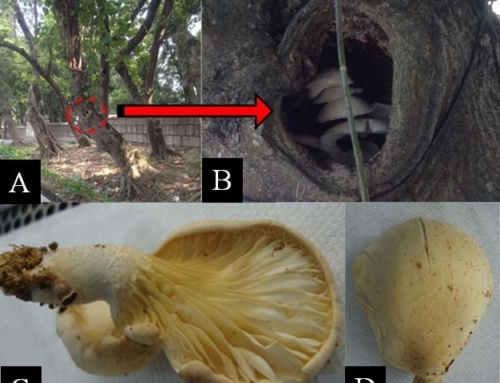 Fruiting bodies of sexual stage (Inonotus rickii) and their asexual anamorphs (Ptychogaster cubensis) observed should be removed to minimise the building of fungal inoculum. 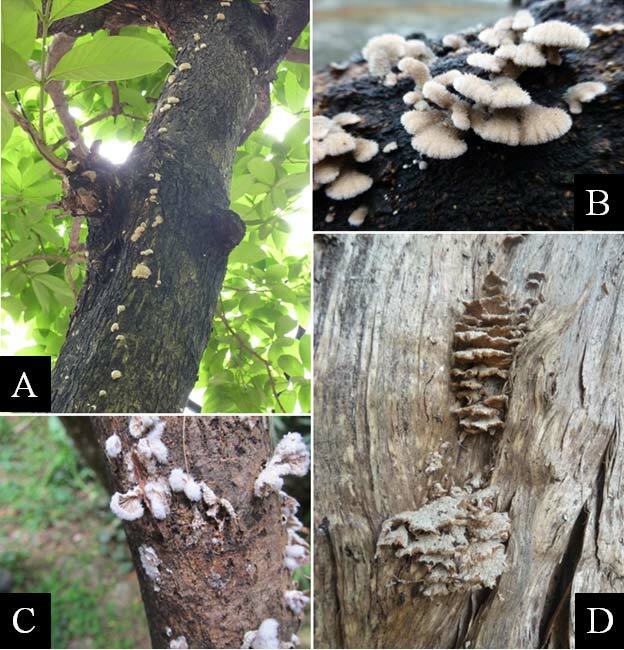 Fungicides may still be used as an interim measure for trees exhibiting early or advanced stage of infection, though the treatment may not be effective to hamper the onset of the disease. To reduce the potential damage of this fungus, trees should be minimised from injury arisen from large area pruning cut/mechanical damages. 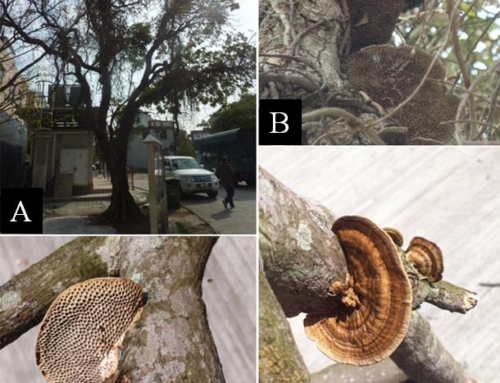 At the advanced stage of infection in which the structural integrity of the trees is undermined and could not be mitigated through pruning/installation of props and wires, removal of structural limbs and/or whole tree should be considered.